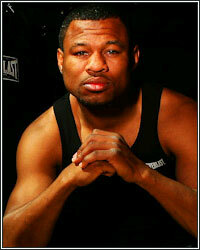 SHANE MOSLEY: "MANNY PACQUIAO...HE'S THE POUND-FOR-POUND KING!" "Manny's a great fighter. He's very strong, very fast...I guess I fell short. Manny's a great fighter. He's the pound-for-pound king," stated three-division world champion Shane Mosley, who shared his thoughts on his disappointing loss to pound-for-pound champion Manny Pacquiao. According to Mosley, who lost virtually every round on each scorecard, he's never felt the type of punches that Pacquiao was able to land on him. "Manny definitely has good punching power. I wouldn't say physically strong, but good punching power; different kinds of punches that I haven't felt from anybody else," Mosley would explain to the media when questioned about the third round knockdown he suffered. "I was pretty hurt; pretty stunned and, surprisingly, it didn't seem like a big shot to me when he threw it, but the impact of it was very strong." Despite the lopsided loss, Mosley wasn't quite ready to discuss the option of hanging up the gloves. "Manny Pacquiao is a great fighter. You know, losing to Manny Pacquiao, I think, is not a big deal," he added, pointing out that there's no shame in losing to one of the best fighters in the world, no matter the manner of the loss. "He's the pound-for-pound king and he's the pound-for-pound king for a reason."